Oh how I miss the smell of diesel fuel, oil, paint and dirt! 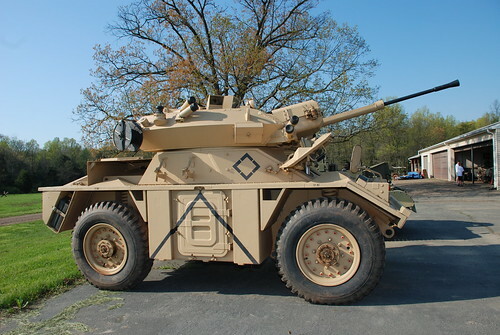 A tour of the Tank Farm, aka Virginia Military Vehicle Museum and soon to be the National Museum of Americans in Wartime, was the final stop of the 2009 Milblog conference. Usually in the fall, they have an open house and it has been years since I have been. I was very excited about this tour today. All of the vehicles belong to Allen Kohrs. He started collecting in 1982 and one by one, he acquired one vehicle after another. In the fall, they bring out all of the vehicles and do many demonstrations. Yes, all of these vehicles run. Its really cool. 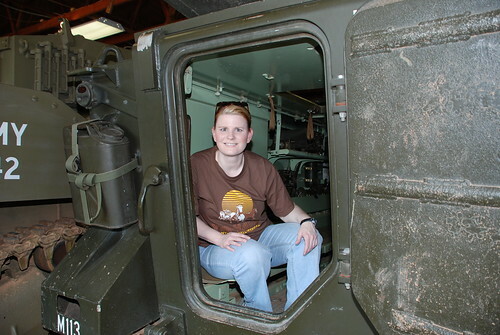 So the big highlight, was the chance to drive an armored personnel carrier or take a ride. I took a ride with a group of boys who had gone for a ride about 5 times. These kids were SOOO excited about everything. I had a small accident. It slipped my mind that I should want to hold on. So when the vehicle hit a nice bump - - I flew up and hit my head. It hurt. The boys piled off and were talking about how I hit my head. There was no blood. I am fine - - well, still as 'normal' as I was before I hit my head. Let me show you some of the stuff. 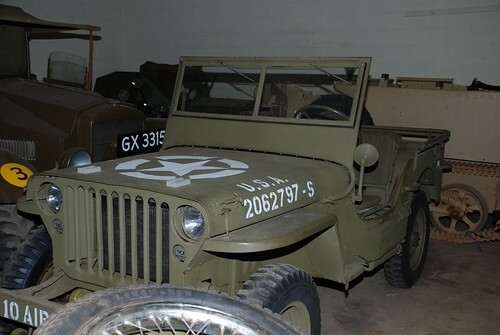 This is the Jeep that started it all. See, I really was there. 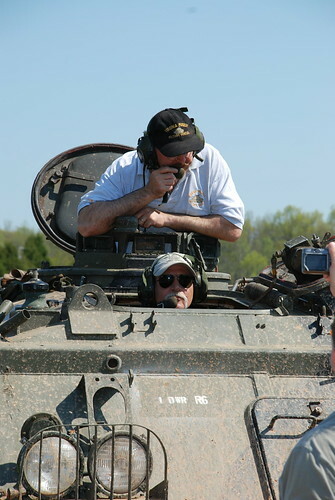 This is me in the M113 that was a prototype that the US Army tested. 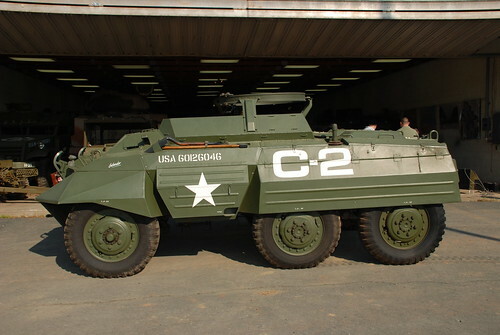 Versions of this vehicle has been used by the US Army since 1960. 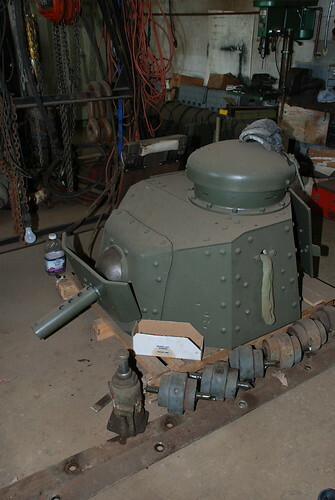 Below is an M11917, the first tank built by the US. They found this at a scrap yard in Georgia. The owner had bought it as scrap but couldn't bear to scrap it so kept it for years as his personal 'treasure'. I learned something very interesting about quality assurance. To assure that the plates were bullet proof, each plate would be shot. If the plate was in a crucial place, it was shot several times. 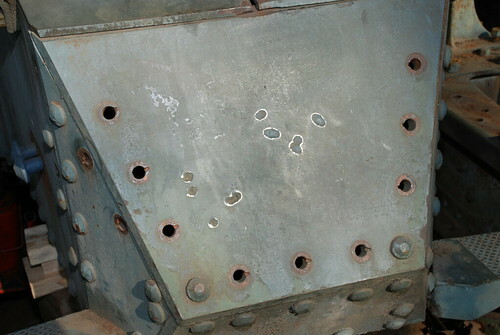 The bullet marks on the left are from armor piercing rounds, the four marks in the middle are from regular bullets. The chief of their restoration showed me the marks on several plates. 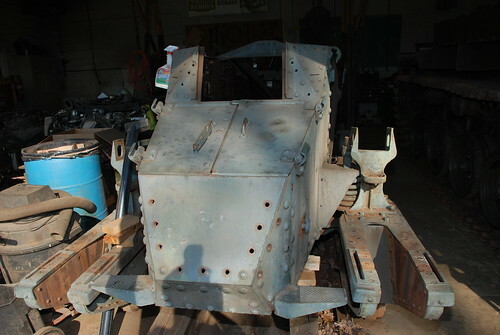 This is the tank's turret, it is in the process of being restored. 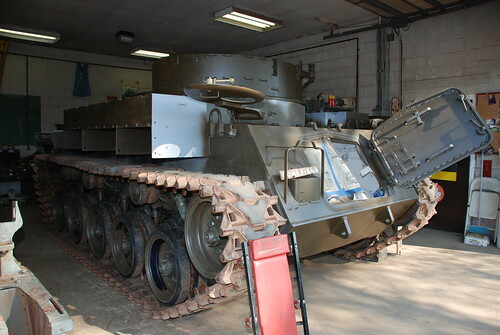 I believe the tank below is an M42 Duster, being restored. 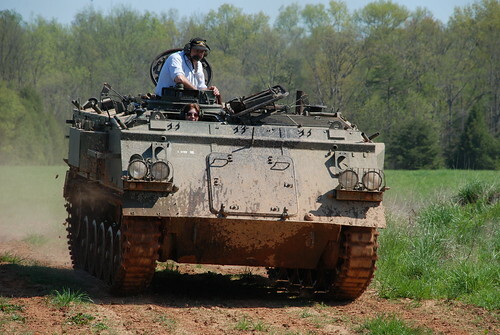 Now for the fun, select guests were given the opportunity to drive an armored personnel carrier. Who the Heck Trained That Cat?! Desperate for Sleep: Will Hour Long Swim Help? Museum Virtual Tour is Now Open!